Animal rights have been the advocacy of many animal lovers in recent decades. They often shout that someone needs to stand and become the voice of the helpless and defenseless animals which are being used in researches. Nevertheless, it must be considered that the use of animals is far better in finding cure to human sicknesses compared to using human guinea pigs. Therefore, in this paper, we will discuss the agreements and disagreements about why animals should be used in researches. Researches advanced the discovery of treatments of many deadly human diseases. It is undeniable that such benefit is greatly appreciated, thanks to the help of many animals which were used in numerous medical experiments. In today’s highly advanced world, many diseases are still incurable and more are evolving. Therefore, it is important that animals should still be used in researches in order to find the cures for such dreaded diseases. Animal rights advocates may say that it is inhumane to suffer the lives of animals for the sake of researches (Dunnuck) but they are not looking at the bigger picture. Indeed, animal lives are sacrificed in the process however it must be considered that human lives are also at stake without the performance of such experiments. Weighing the rights of humans to health and life, the lives of animals fall far behind. Secondly, animal lovers argue that the pain and suffering animals experience during the experiments are similar to human pains. This discourse brings the same argument mentioned earlier. Granted that the pains felt by animals and humans are equally the same, the comfort and health of humans still outweigh those of the animals’. Moreover, debating on such a level of understanding, the motives of said animal advocates somehow are questioned because they do not go against all sorts of animal pain. Most protests regarding animals concern animal abuse and researches but there are no protests against eating animal meat. Before one eats the meat, similar pains inflicted during research are also forced on animals when they are killed for food. Nevertheless, since it benefits human beings, it is not strongly opposed. When animals are hurt for food consumption of humans, then it should also follow that animals should also be used in researches to benefit humans. Lastly, it is said that there are viable alternatives. Nevertheless, the rebuttal simply mentions alternatives for beauty care products which use synthetic cellular tissue (Dunnuck) in place of animals. From this argument, it is understood that debaters do not clearly see that the use of animals in research is not thoughtless and unsympathetic. When there are alternatives such as the synthetic cellular tissue, then that would be a lot better. However, not all researches involve the skin alone. Many incurable diseases involve the blood and vital internal organs which are not comparable to skin products mentioned above. If, in the future, an alternative will be found to use in experiments for the discovery of treatments for such diseases, then animals can be spared from experiments. However, for now, the best remedy is to use animals in researches because they are biologically similar to human beings. In conclusion, animals should be used in researches because it is better to sacrifice animal lives to save human lives rather than save the animal but expose humans to deadly diseases. When animals are used for food consumption without any violent reactions, they should also be used as guinea pigs for the benefit of humans. Finally, animals are the best alternatives for medical experiments because they resemble human biological characteristics. So now you know how professional we are. Look nowhere else to buy term papers online. 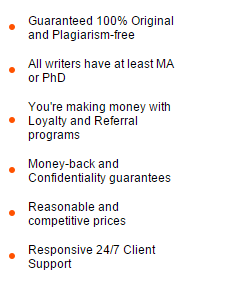 Come straight to us and let us work on your essay. Try it out now.